We’d love your help. Let us know what’s wrong with this preview of The Blind Side by Michael Lewis. When we first meet the young man at the center of this extraordinary and moving story, he is one of thirteen children by a mother addicted to crack; he does not know his real name, his father, his birthday, or any of the things a child might learn in school. And he has no se In football, as in life, the value we place on people changes with the rules of the games they play. To ask other readers questions about The Blind Side, please sign up. What is the overall purpose of this story? The Blind Side is a nice, concise slice of today's true American Pastime, and it's the sort of feel-good story that will appeal to a broad audience (and by broad I don't necessarily mean dames!) *twiddles cigar and jiggles eyebrow FOO-BAH! FOO-BAH! 24-7, 365 Days a Year! On the merits of the story alone, I enjoyed this book. Lewis is a very good writer, and he is able to tell a compelling story and educate the less knowledgeable without coming off as condescending, which is more difficult than it sounds. The story of Michael Oher is compelling (and ongoing), and it's hard not to root for him. That said, I have my suspicions about the altruism at the heart of the story. There are too many questionable motivations floating about, although, to Lewis's credit, he doe On the merits of the story alone, I enjoyed this book. Lewis is a very good writer, and he is able to tell a compelling story and educate the less knowledgeable without coming off as condescending, which is more difficult than it sounds. The story of Michael Oher is compelling (and ongoing), and it's hard not to root for him. That said, I have my suspicions about the altruism at the heart of the story. There are too many questionable motivations floating about, although, to Lewis's credit, he does acknowledge them. As much as Lewis tries to drive the point home that the Tuohy family are just generous, kind people, I do find the story of Michael's recruitment and subsequent (spoiler alert) commitment to Ole Miss very suspect. Consider the facts: 1)Ole Miss is far from a college football powerhouse, even (especially?) playing in the super competitive SEC; 2)Oher was recruited by literally every major college program in the country, many of which could have afforded Oher greater opportunities for national exposure and better quality education; 3)Ole Miss very sketchily hired Michael's high school football coach to their staff immediately before or after (I can't remember the exact timeline) Michael committed to Ole Miss; 4)The Tuohys are well known alumni and benefactors to Ole Miss; 5)Michael Lewis is an old friend of Sean Tuohy. The Blind Side features two story lines, one traces the evolution of offensive football since the early 1980's specifically the way it reacted to the way Hall of Fame revolutionized the Outside Linebacker position was played. Thanks to Taylor's prowess at rushing the Quarterback, the Left Tackle(who protects the QB's blind side) quickly became one of the most important, and highest-paid positions on the football field. The second storyline focuses on Michael Oher, who has all the psyical gifts th The Blind Side features two story lines, one traces the evolution of offensive football since the early 1980's specifically the way it reacted to the way Hall of Fame revolutionized the Outside Linebacker position was played. Thanks to Taylor's prowess at rushing the Quarterback, the Left Tackle(who protects the QB's blind side) quickly became one of the most important, and highest-paid positions on the football field. The second storyline focuses on Michael Oher, who has all the psyical gifts that NFL scouts look for in the prototypical Left Tackle, the problem: can Michael make the grades necessary to play college football? We follow Michael on his journey from impoverished upbringing, to his enrollement at an elite christian school, where he is taken in by a white family, to his eventual enrollment at Ole Miss. Along the way, we are given a glimpse into the often predatory recruiting process that top prospects must negotiate. Michael is projected to be a first round pick in April's NFL draft. Hoop Dreams detailed the machine built around taking poor black athletes from the inner city and sticking them into primarily white school systems that only cared about those athletes to the extent that they would help their sports teams win. The Blind Side concerns itself with a similar story, except Michael Lewis tends to pause breathlessly and exclaim isn't this great? He admits that the father, Sean, "had been born with a talent for seeing the court, taking in every angle and every other pla Hoop Dreams detailed the machine built around taking poor black athletes from the inner city and sticking them into primarily white school systems that only cared about those athletes to the extent that they would help their sports teams win. The Blind Side concerns itself with a similar story, except Michael Lewis tends to pause breathlessly and exclaim isn't this great? He admits that the father, Sean, "had been born with a talent for seeing the court, taking in every angle and every other player, and then attacking in the most efficient way possible. The talent translated beautifully from basketball into life." But Lewis never really weighs the possibility that maybe this chronic manipulater had some dubious intentions when, on essentially a whim, he ends up adopting a tremendous football talent, Michael, a year before Michael decides where he wants to play his college ball. When an NCAA investigator feels that this adoption (and the tens of thousands of dollars thrown towards Michael) might be some attempt to circumvent the rules and buy his favor, Lewis can't help but vilify her. "[The NCAA] didn't care how things were, only how they could be made to seem. A poor black football star inside the home of this rich white booster could be made to seem scandalous, and so here they were, bothering Michael. The lady said she was just trying to establish the facts of the case, but the facts didn't descibe the case... They had violated the letter of every NCAA rule ever written. They'd given Michael more than food, clothing, and shelter. They'd given him a life." And, desipte this ascribed nobility of Sean, his family, and the support system of tutors willing to get him passing grades by any means at hand, I never found myself buying into it fully. Yes, I find myself rooting for Michael Oher to make it in the NFL, but mainly because I feel that if he doesn't, the life that these people have given him will seep away, and he'll be back on the streets from which he was rescued. I also was annoyed by which the degree Lewis writes from a perspective of "poor black" athletes and "rich white" heroes. He can't help himself from throwing these modifiers on any person where they might apply. But when talking of about a black investment banker, he isn't written as "a rich black banker", instead he is merely described as being from Washington, D.C. Michael is meant to stand in for so much of what is happening in this country in terms of race and economics, and, while large though he may be, he isn't big enough to tell this story unless Lewis cuts off these annoying details and nuances. I heard of the movie and I like football books, so I thought I would enjoy this story about Michael Oher (and I did). I assumed it was just a story about Michael Oher, which it wasn't. I read Lewis's book Moneyball awhile back and not only did I enjoy it, I winded up buying a few other books he had suggested etc.. and that book has really stayed with me. Ok, so if you want to read this book- just know that it is not just an inspirational story about a poor kid who makes it to the NFl, it is also a very matter of fact book about the evolution of certain postions in football (mostly the left tackle, who protects the blindside of the QB) and also about some of the changes in the game of football. Lewis writes two stories here. One is interesting. The other is mildly intriguing and probably not as a big a story as it seems. When telling the story of Michael Oher, a poor black kid from Memphis adopted by a loaded white family and the journey he takes from uncommunicative, unschooled, untrusting child to a succesful lineman starring at Ole Miss it's a good story. When writing about the emergence of the left tackle position in the NFL it was hard not to skip passages. Left tackle is an key posi Lewis writes two stories here. One is interesting. The other is mildly intriguing and probably not as a big a story as it seems. Left tackle is an key position and the excerpts from players and coaches is interesting. Reading about the gruesome ways Lawrence Taylor destroyed people is great. But it's tedious and in the end it's hard to argue it's important. There's no real comparison to other ways the game has evolved. The Michael story left me uncomfortable. As great a story as his is (and it's still going - when his NFL draft approaches, Lewis-hype will ensure you know he's available), significant ethical questions are raised by the conduct of his adoptive family. Lewis correctly raises the questions, though he had little choice after the NCAA launched an investigation into the subject. But he never attempts to answer them. 9/25/09 - As a book club read, this was different. And as football is not my favorite sport (I don't dislike it, but for me it ranks below baseball & basketball), I wasn't sure how I was going to like it, but I went in with an open mind. It basically alternates between chapters about football player Michael Oher's "history" & the emerging importance of the position of left tackle in the NFL and in college football. Overall, a very educational story for me. For someone who doesn't necessa 9/25/09 - As a book club read, this was different. And as football is not my favorite sport (I don't dislike it, but for me it ranks below baseball & basketball), I wasn't sure how I was going to like it, but I went in with an open mind. It basically alternates between chapters about football player Michael Oher's "history" & the emerging importance of the position of left tackle in the NFL and in college football. Overall, a very educational story for me. For someone who doesn't necessarily consider themselves a true football fan, some of the football history may seem a little dry. I was okay with it, but tended to start skimming the further I got into the book. The Blind Side is a book about a homeless teenager who gets adopted by a married couple who sees him on the side of the road and gives him a ride and a place to stay. While he is with them he grows fond of them he starts to attend a fancy mainly white Americans go there he only has a couple pairs of clothes. He starts playing football but he does not have the best grades in the world, his major is protection. His adopted parents use that to an advantage and he become’s really good at the sport The Blind Side is a book about a homeless teenager who gets adopted by a married couple who sees him on the side of the road and gives him a ride and a place to stay. While he is with them he grows fond of them he starts to attend a fancy mainly white Americans go there he only has a couple pairs of clothes. Warning: plot spoilers and discussion follow below. The protagonists are the people who adopt him are pretty much his whole community. The only antagonists are the streets he is trying to get away from. By the streets I mean the town where he used to live. He lived with a mom who didn’t even know who he was he pretty much didn’t have an actuall family he had to fend for himself. The main conflict is trying to get his grades up so he can attend a college. One of his parents wants him to go to the university of Tennesse , the other wants him to go to the university of ole miss. But that’s not the major conflict in the story. Mixed feelings about this one. I'm huge NFL fan and Ravens are one of my favorite teams (mostly because of Ray Lewis) but I didn't know the Michael Oher story until the movie was released. I found the Left Tackle/NFL history of the book very interesting. But I can totally see why Michael himself had problems with how he was portrayed in the book. This is not just a poor black teenager being taken in by rich white upper class christian family stereotypical rags to riches taking the black child ou Mixed feelings about this one. I'm huge NFL fan and Ravens are one of my favorite teams (mostly because of Ray Lewis) but I didn't know the Michael Oher story until the movie was released. I loved this book...well most of it anyway. Michael Oher's story was touching and I loved that specific part in this book. He changed his stars and put them in line. It was very inspirational. This started as a solid and clear 5 stars. Michael Lewis wrote this story so well. But then he got all technical about football, coaches, players, and plays. Which, to be honest, really isn't my thing. I like football just a tad less than baseball, and I really don't like baseball. Football, to me, just see I loved this book...well most of it anyway. Michael Oher's story was touching and I loved that specific part in this book. He changed his stars and put them in line. It was very inspirational. This started as a solid and clear 5 stars. Michael Lewis wrote this story so well. But then he got all technical about football, coaches, players, and plays. Which, to be honest, really isn't my thing. I like football just a tad less than baseball, and I really don't like baseball. Football, to me, just seems to be a very long game of fat-man tag. Michael Lewis does it again, this time with football. This is the story of a black kid from the country's third poorest zip code in Memphis who was adopted by a wealthy white family (they own their own jet) and with lots of support from the father of a son and from coaches and teachers and tutors played football at Old Miss and made it to the NFL and multi-million dollar contracts. Woven into the story of Michael Oher is the development of the importance of the left tackle in professional footbal Michael Lewis does it again, this time with football. This is the story of a black kid from the country's third poorest zip code in Memphis who was adopted by a wealthy white family (they own their own jet) and with lots of support from the father of a son and from coaches and teachers and tutors played football at Old Miss and made it to the NFL and multi-million dollar contracts. Woven into the story of Michael Oher is the development of the importance of the left tackle in professional football. It's his job to block the guy whose job it is to approach the quarterback from his blind side and sack him. My husband read this as a sports book, but as an educator I was very interested in the barriers poverty presents for getting through (or even "to") school. My father-in-law recently reminded me of the book when he recalled that Oher and his brother grew up in a section of Memphis where Census results showed not a single father in the entire zip code. Is anyone starting a Memphis Children's Zone? Had no idea what was going on. I don't speak football. As a young adolescent, I was a football cheerleader. When I faced the audience and performed, I was on top of the world. When I turned around and watched the game, I was disinterested to the point of wishing I could read a book, right there on the side of the field. Once, as we girls were cheering "O-F-F-E-N-S-E: Offense, Offense, Go Team!" a dad of one of the players threw an empty soda can at us and shouted, "You idiots! We're on DEFENSE!" I remember looking around at the other girls, thinking. As a young adolescent, I was a football cheerleader. When I faced the audience and performed, I was on top of the world. When I turned around and watched the game, I was disinterested to the point of wishing I could read a book, right there on the side of the field. I remember looking around at the other girls, thinking. . . almost every girl here is a straight A honor student who also happens to be athletic. . . and you're the MORON. . . because we're not idiots, you loser. . . we're BORED! But, despite my three years of cheerleading, and despite growing up with a football obsessed father and then marrying a football obsessed husband, I'm still totally and completely bored by the game. Bored. And now I DO read a book while the game is on. In fact, I read part of THIS BOOK while my husband watched the Broncos game. So, now that you know this about me, you know that you can trust my review. Why? Because football bores me, and I enjoyed this book so much, I wondered if I should give it 5 stars. It is a book about football, and not just a little. Quite a lot. But, in the way that the book The Immortal Life of Henrietta Lacks isn't just about cellular biology, this is not just a book about football. It's a book about people, with a big, juicy human interest component that pulls you in and tackles you. It's a damn good story, which is obviously why someone else read it and said, "Hey, let's make a movie out of this!" After seeing the movie I was curious about the book and though I'm not a big football fan decided to give it a read. The story is well written and Michael Oher's story is compelling. I'd been curious about the Racism vs. Ole Miss angle as it was not emphasized in the film and knowing what I did of Ole Miss's history I was curious. This was covered very well in the book. I was a bit daunted by depth of the coverage of the evolution of football in the book but I can't say I wasn't warned... The ti After seeing the movie I was curious about the book and though I'm not a big football fan decided to give it a read. I was a bit daunted by depth of the coverage of the evolution of football in the book but I can't say I wasn't warned... The title indicated as much. Mostly the explanations of football strategy were very good and I followed most of it though I'm in no way a fan of the game. There were a few sections (particularly when the footnotes got to be close to half a page) when the football details became too much for me but I'm sure that dyed in the wool fans loved it. Even the sections on Lawrence Taylor and and Steve Wallace, and John Ayers were eminently readable, even for a non-fan. So many of the world's most popular tales start off with the main character in a terrible situation whether it’s cinderella who had to grow up with evil step sisters or Annie who has to live her life in an orphanage. The readers immediately feel bad for these characters and want to find out what happens to them. “The Blind Side,” Published in 2006, and written by Michael Lewis places Michael Oher in one of these horrible situations. The only difference is, that Michael Oher’s story is real. Micha So many of the world's most popular tales start off with the main character in a terrible situation whether it’s cinderella who had to grow up with evil step sisters or Annie who has to live her life in an orphanage. The readers immediately feel bad for these characters and want to find out what happens to them. “The Blind Side,” Published in 2006, and written by Michael Lewis places Michael Oher in one of these horrible situations. The only difference is, that Michael Oher’s story is real. 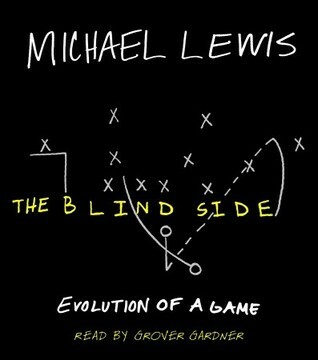 Michael Lewis has written so many great novels and “The Blind Side” is no exception. Michael Oher mysteriously starts off as a homeless teenager, we have no idea what happened to his parents until very late in the book, but up until then it constantly leaves the readers thinking why has this boy been put in this situation. Eventually his life turns around and he gets noticed by a high school football scout who thinks he has the potential to play college football. Getting away from the football area of this novel, this book also shows how a sense of community and helpfulness can turn someone's life around. Michael was getting dropped off at his usual spot in the town of Memphis by someone that goes by the name of Leigh Anne Tuohy, a wealthy interior designer, when she realises the way Michael is living she decides to take him in, and become the legal guardian of Michael Oher. This act of kindness is not easy to come by today, but any kindness like this proves to never be wasted. There is nothing funny about this book so if you are into comedy this may not be your best choice. If you are a sports fan or interested in biographies written about athletes than I highly recommend this book for you. This novel is also a great learning opportunity, that can help teach how a sense of community and kindness big or small can mean the world to somebody. I’m sure that Michael Lewis wanted to instill the idea of kindness and community into everyone’s lives. Throughout the entirety of the book you feel for Michael Oher as if the entire story was happening in front of you. It really sets the scene in your mind that never leaves you until the very end, and even then it will remain somewhere inside of you for a very long time. 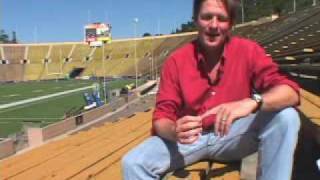 Michael Lewis has written a number of award winning books, most notably being “Moneyball”. Michael Lewis writes great books about sports but also writes about some other subgenres within nonfiction such as a book about poker called “Liar’s Poker”, or some others about politics like “Becoming Apart”. One thing that all these books have in common is that they all have been enjoyed by hundreds of thousands, and that’s something that for as long as he writes, will never change. You don't have to be a football fan to enjoy this story, so don't put it aside for that reason. The author breaks down the portions of football you need to understand in order to get at the real story he is trying to tell, that of Michael Oher. This book can be appreciated on many different levels. For the student of football, getting the backstory of how the game has evolved and adapted is quite an education. For those who enjoy the human interest story, you get one of the best in the form of Mi You don't have to be a football fan to enjoy this story, so don't put it aside for that reason. The author breaks down the portions of football you need to understand in order to get at the real story he is trying to tell, that of Michael Oher. This book can be appreciated on many different levels. For the student of football, getting the backstory of how the game has evolved and adapted is quite an education. For those who enjoy the human interest story, you get one of the best in the form of Michael Oher. If you really want to dig deeper intellectually, the socioeconomic factors, especially regarding professional athletes, is glimpsed. There is just so much to this story and Michael Lewis does the job beautifully! As with any book made into a movie, I recommend reading it before watching it. But even doing the reverse, I found the book enjoyable and want to watch the movie again. So don't be afraid to pick up the book even if you think you've been tainted. Fun and enjoyable read. It combines the story of Michael Oher (and the Tuohy family) and random anecdotes about football (including play calls, positions, players, etc). I enjoyed it because when I watch football I only really see where the ball travels, so it was cool to hear some of the strategy behind positioning or certain plays. Also, a nice heartwarming story about Oher and his family, what’s not to love? Enjoyed the story about Michael Ohr. I'm not really into biographies, but this has to be one of the most fun, interesting, and well-written biographies I've ever read! This book is very interesting and tells a great story about a kid from horrible neighborhood who is taken in by a wealthy white family. But it dosn't just tell a story about Michael Oher, we learn and understand a lot about the job of a left tackle. Now one of the highest paid positions because it is possibly one of the most important on the field. It is known as the blind side because most quarterbacks are right handed are their backs are facing that way. a defender on that side can injure a quarterback badly by the blind side. In the book we learn about defenders on that side and how they made a living hitting the qb from that side. Being a left tackle is something Michael Oher seemed to be really good at. Being 6ft5 and over 300lbs as a high schooler, every single college coach on the planet wanted him to come to their school. Michael Oher was a natural athlete who grew up without a dad and a mom that never really cared for anything except drugs. A family by the name of Touhy took Michael in and gave him everything he needed. He becomes a star and its very inspiring to read this book. I love how he never gave up on the field but more importantly in school. A kid that has a learning disability, being tutored every single night and going to school everyday struggling, fights through it to get his grades up. Another favorite part of mine is how the Touhy family believed in this kid and he never let them down.